Steeped in history, culture and natural beauty, the legendary Shandong province located in the midway between Beijing and Shanghai has always been appealing to me. But for some reason, I had never got the opportunity to visit it. Luckily, in January, with the invitation of Shandong Commission of Tourism Development, I had the chance to experience this fascinating land together with my colleague Joyce Chen. It made my dream trip come true! Before we took the trip, we thought it was probably not a good time to go as it was winter time (low season). We were glad that we did. During the whole trip, all days were sunny with blue skies and we enjoyed it thoroughly. 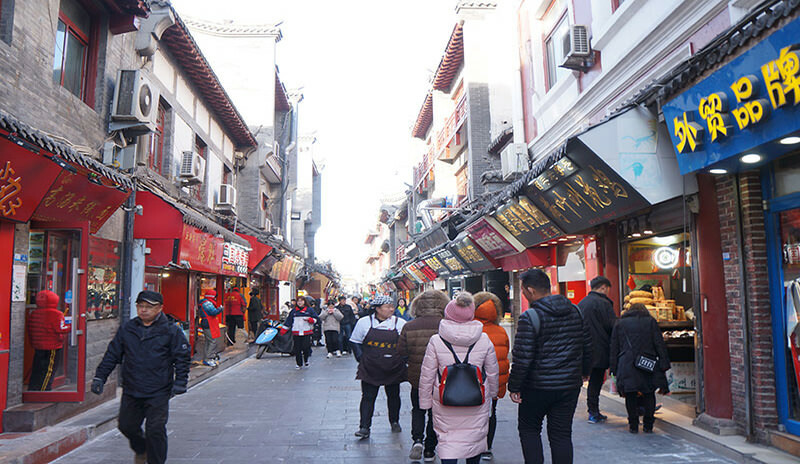 Unlike other popular tourist destinations like Beijing, Xi'an, Shanghai and Hong Kong, Shandong can be completely new to most western travelers. But many of you would not be unfamiliar with Confucius, the great Chinese philosopher, who was born and bred in Qufu, a town in Shandong over 2,500 years ago. 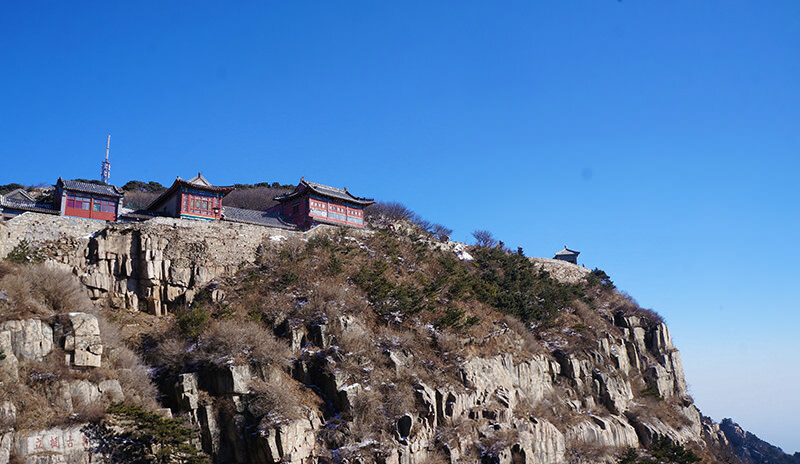 Besides, it is home to the oldest great wall in China, centuries older than the Great Wall in Beijing. Here China's most sacred mountain – Mount Tai soars, the Yellow River goes into the sea, and the 2008 Olympic sailing events took place.  It is also there that the Lu cuisine, one of the Four Great Traditions in China, was developed. These were the real draws for us. We spent six days in Shandong, inspecting the hotels, sampling the local dishes, touring the sights known or unknown. Close your eyes and picture to yourself: an ancient town, with mountains and lakes, dozing in the sunlight, warm and comfortable, waiting for the spring breezes to blow it awake. What we saw was exactly like what Lao She described in the prose. Like all first-time visitors to Jinan, we couldn't miss the hot springs. With 72 artesian springs scattering across the city, it would be hard to decide which one to see. 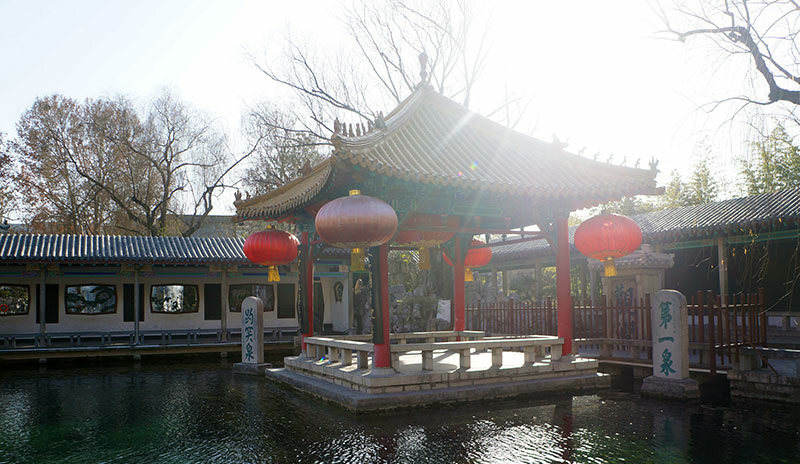 So we went with the flow and visited two of the most famous springs: Baotu Spring and Black Tiger Spring. The former is the most popular one, known as the first spring in China. It is located in a lovely park, with beautiful pavilions and gardens. The latter is located next to the old city moat, with spring water gushing through caves like the roar of the tiger, thus giving its name "black tiger spring". The spring water is drinkable so you'll see local people line up to fill up gallons to drink and cook at home. 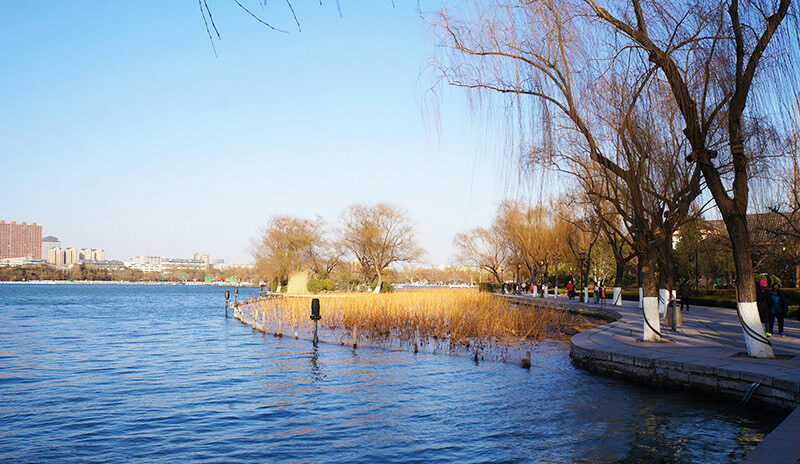 Located to the south of the city moat is the beautiful Daming Lake, which is considered as one of the three must-sees of Jinan. We took a leisurely stroll around and were impressed by dozens of ancient pavilions, temples, gardens, and bridges. "Over the centuries, Daming Lake has inspired many poets, painters, calligraphers, and scholars. So it's a lake of great cultural significance." Said our guide. 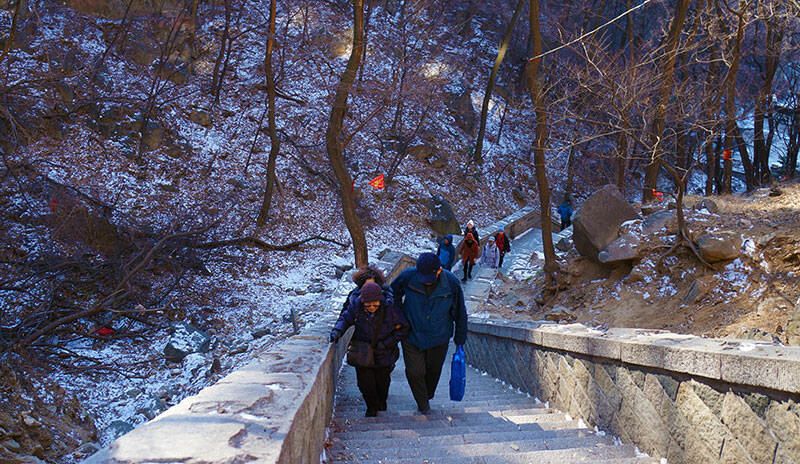 After touring Jinan, we took a 1.5 hour's drive to Tai'an for a climb to Mount Tai situated just north of the city. Mount Tai is the most sacred of China's Five Great Mountains (associated with Taoism, Buddhism, and Confucianism) and a UNESCO World Heritage site; Ancient Chinese emperors would hike to the top for enthronement or other great ceremonies as the mountain was thought to be the symbol for power, peace and stability. The whole trip from the foot to the top would take around 5 hours of walking, with 6,666 steps, which seemed too strenuous for us. The good news was we could take a bus to the midpoint and then a cable car to the summit. An hour and a half's drive from Tai'an took us to the hometown of Confucius – Qufu. For culture enthusiasts, this quaint town is well worth spending a half day exploring. We were told that the town was also the birthplace of Mencius (372BC- 289 BC, another great Confucian philosopher after Confucius), and the Yellow Emperor (an ancient Chinese mythological emperor and a culture hero). At the center of the town is the Confucius Temple, which was built to honor the sage after he died in 479 BC. Over the centuries, the temple had been expanded and it is today a large temple complex covering an area of roughly 50 acres. The complex has sealing-wax red walls and yellow roof tiles, which made us think of the Forbidden City in Beijing. Next to the temple is the Kong Family Mansion, where the direct descendants of Confucius lived. Today the residence is a museum that is protected by the UNESCO. We took a 20-minute walk north from the mansion and arrived at the Cemetery of Confucius. We were amazed to find that not only the tombs of Confucius himself, but also some of his disciples', as well as thousands of his descendants' are all here in a walled forested area equivalent to the size of 250 football pitches. Qingdao, about three-hour bullet train journey from Qufu, was a great city to end our Shandong trip. This port city is known for its German-style architecture, stunning coastal views and of course, Tsingtao beer. 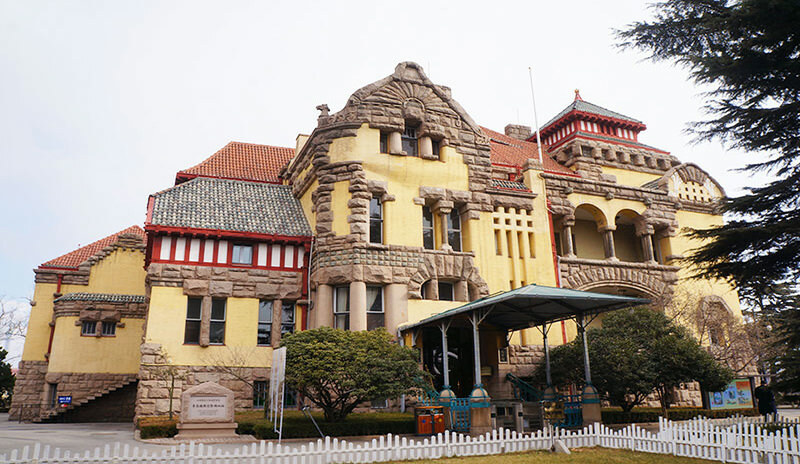 The Governor's House Museum, constructed in the early twentieth century, is well-preserved, with art nouveau tiles and original furniture. A visit here was like a step back in time and it wasn't hard to see the splendor and comfort of the house where the German governor and his family lived. 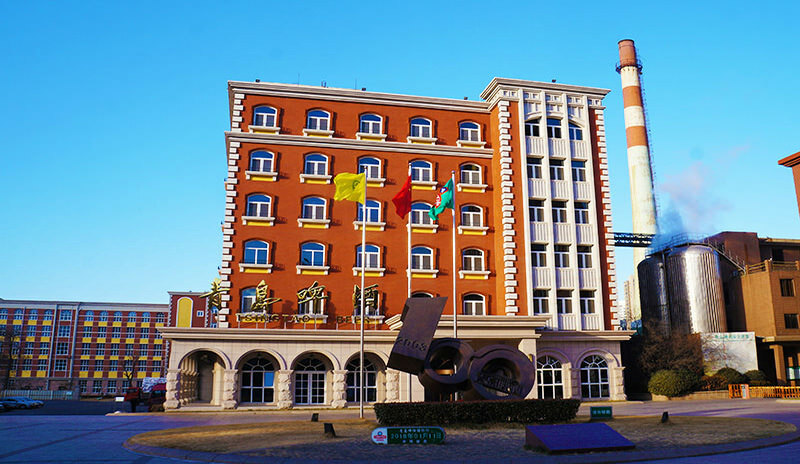 The Tsingtao Beer Museum, which is also a still-operating brewery, is a perfect place to learn about the history of how the drink grew into an iconic beer in China. We sampled some freshly brewed beer at the museum, which tasted quite nice. Other sites we saw include St Michael's Cathedral, Zhan Bridge, Mount Lao (a sacred Taoist mountain). 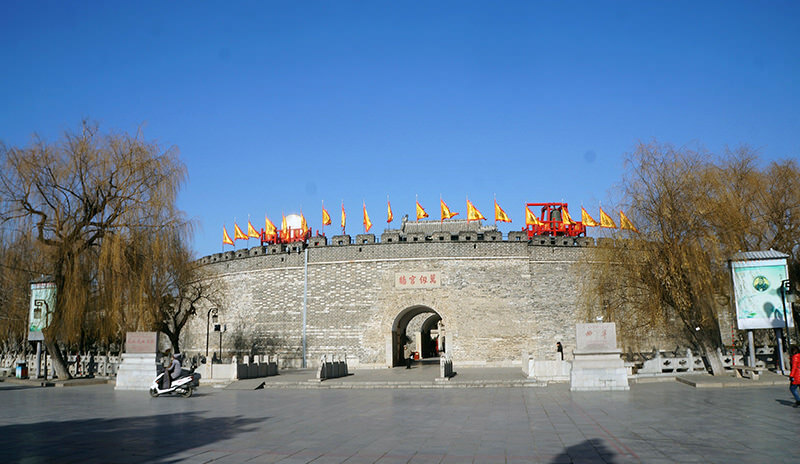 Apart from these amazing cities, Shandong has many other great destinations to explore, such as Weifang (called "world's kite capital"), Dezhou (known for its braised chicken), Zibo (capital of the ancient State of Qi), etc. Because of our tight schedule, we had to skip these places. But we would definitely come back some other day! 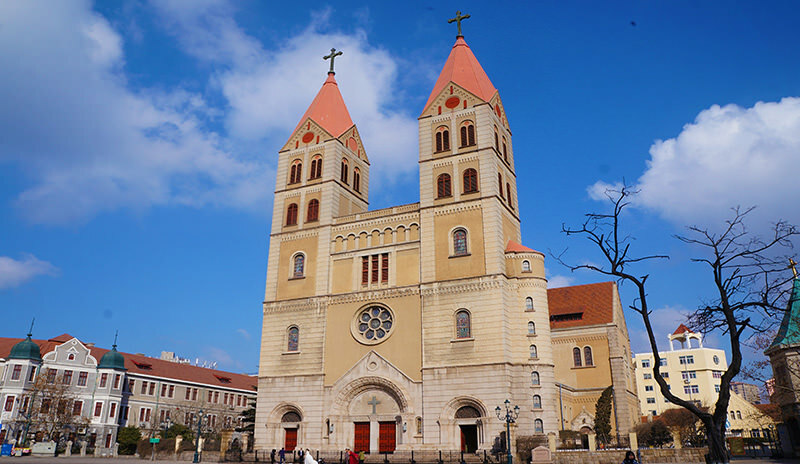 Shandong may be new to you, but it is an exciting destination to visit. If you are thinking about going to this amazing province, let us customize a hassle-free tour for you around your interests and budget. Are you still troubled by the tour arrangement? Through these Odynovo guests' travel stories you will catch 5 amazing facts about the private tour and how it changes the way people travel. Before visiting South Korea, I had never imagined a country that had been living in the shadow of China and Japan for thousands of years could preserve their culture so well; similar but always unique! I spent 6 days in Northwest China journey from Qinghai Province to Dunhuang in Gansu Province and Xi’an in Shannxi Province. It was my dream trip. The vast northwestern part of China enjoys stunning landscapes, history, and culture but is off the beaten track for some reasons.